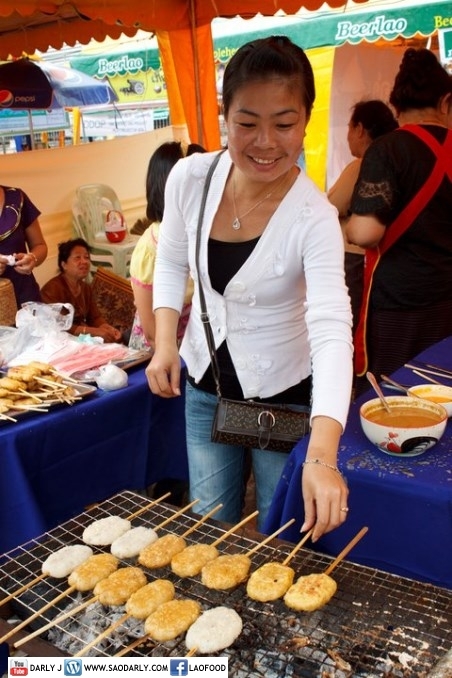 Khao Chi Tha Khai (grilled sticky rice covered in battered egg) at the Lao Food Festival held in Vientiane, Laos. 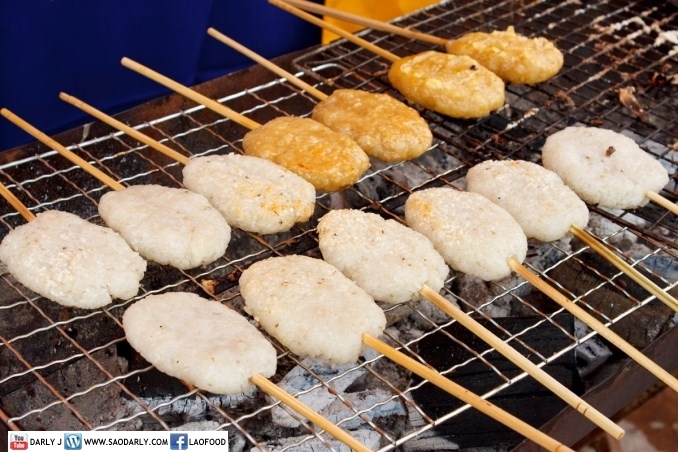 As a kid growing up in Vientiane, I ate a great deal of grilled sticky rice for breakfast. 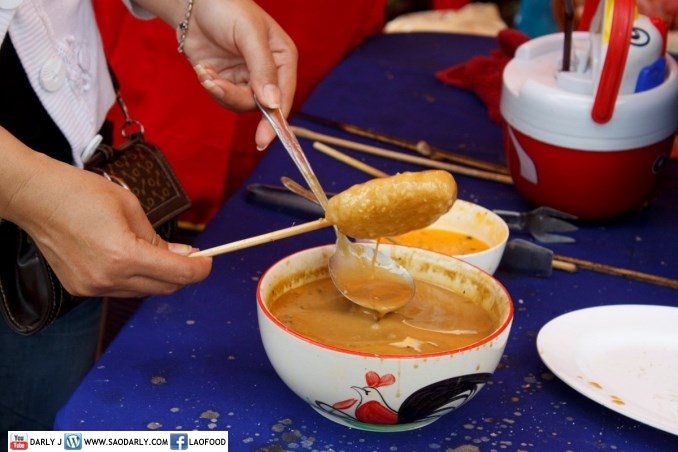 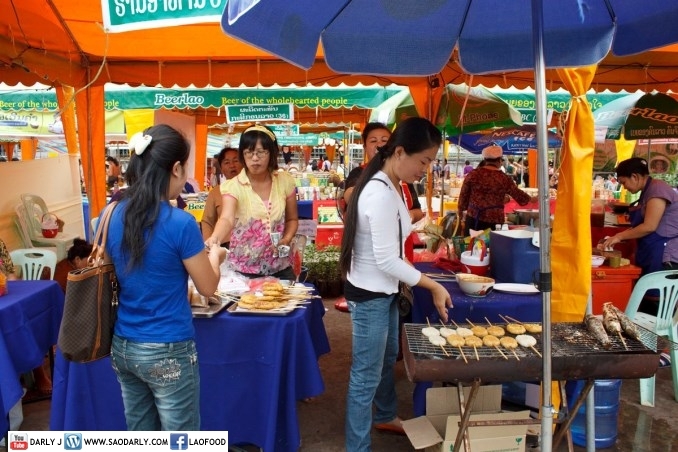 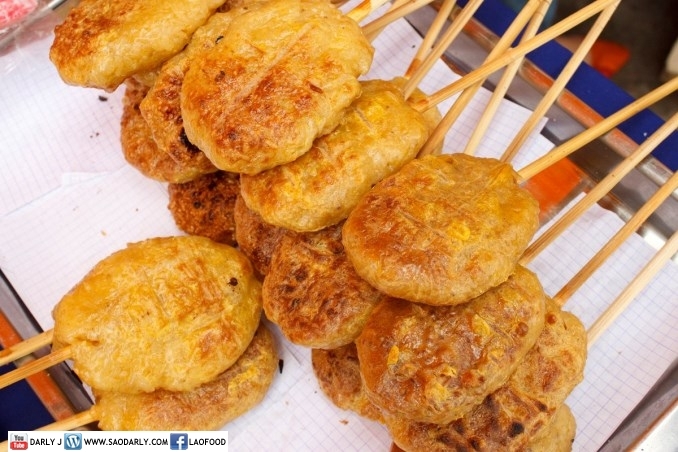 It makes a great snack at festival times, especially during the Lao New Year Celebration.